How Do I Sell My Used Apple TV 4K (5th Generation) on iGotOffer.com? Step 2: yChoose your TV's storage capaciyty. Step 3: Are you including the remote? Step 4: Are you including the power cord? Step 5: What shape is your TV in? : Broken, Fair, Good, or Flawless. Here at iGotOffer.com, we’re huge Apple fans, and to us, every Apple model that’s ever come down the pike is beautiful! When you first got your Apple TV 4K, we’ll bet your neighbors were green with envy. But since it hit the scene, other companies have flooded the market with their own set top boxes and media players, and given Apple a run for its money. Where does that leave YOU? You can lament your misfortune at being saddled with your Apple TV 4K, or you can let us buy it back for a hefty bunch of bills towards a marvelous, freshly-minted device. If you’re smart, you’ll choose the latter! Besides, if you do it with iGotOffer.com, you’ll get the highest payout in the used electronics market! This is how our Apple Buyback Program works: First, you need to answer the above questions. If they seem confusing, take heart—we’re at your service! 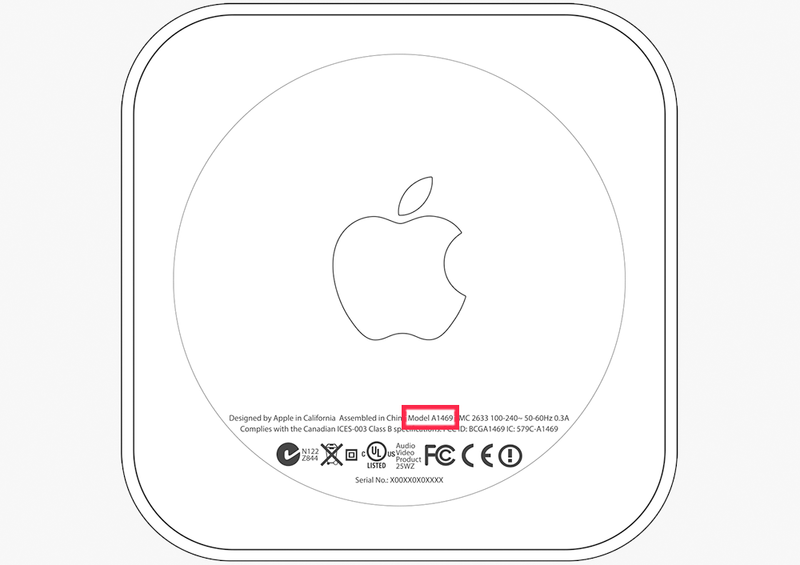 If you’re unsure of your Apple TV’s condition, the ratings system posted on our website will certainly clarify it for you. 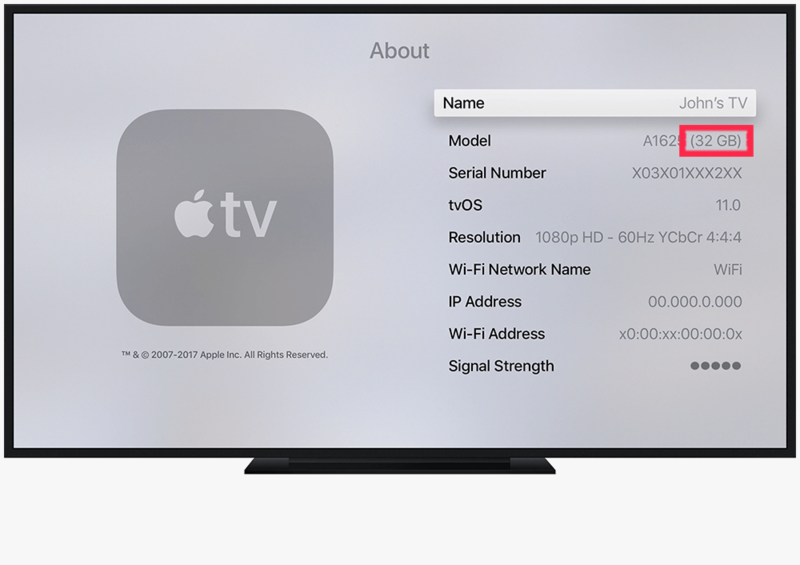 And if you’re stumped about your TV’s brand or model number, you can consult this table: How to Identify Apple TV Model. Once that’s settled, we’ll provide an instant quote, right before your eyes! If you like it, we’ll email you a prepaid shipping label attached to mail us your Apple TV 4K. When we receive your device, we’ll look it over and confirm its condition; if everything is up to snuff, we’ll pay you the amount quoted via your preferred payment method in about 1-2 business days. If you decide our quote is for the birds or you to keep your device, we won’t take offense—we’ll just ship your Apple TV 4K for free, no harm, no foul. Throughout the entire process, your device will be fully insured, at no cost. There’s absolutely no risk or obligation!. Sell Your Apple TV 4K (5th Generation) Online Today for the Highest Price Anywhere! Unless you live in a cave, you’ve probably heard of the Apple GiveBack program. It’s a fairly decent program, but does have its drawbacks. Why? Unlike us, Apple accepts only the latest models, and is a much harsher judge of a gadget’s condition. Then there’s the fine print you must read to complete the transaction, nearly akin to War and Peace (well, not quite). Finally, your payment is in the form of either an Apple gift card or credit to your account, which won’t help much if you’re looking to buy another brand. On the other hand, iGotOffer.com can pay you via PayPal, Chase QuickPay, Amazon gift card, or check, which puts YOU in control. You can also expect top-notch customer service from iGotOffer.com. We’re always available for questions you might have, and work hard to resolve any issues that arise. If you browse our website Testimonials page, you’ll see our customers are tickled pink by how we do business. We actually read every message and count on your input to ensure we’re satisfying our customers’ needs. That’s why we’ve received five-star customer ratings, an outstanding score on the 9.8/10 rating on ResellerRatings.com, and an A from the Better Business Bureau. To really get to know us, stop by our pages on Facebook, Twitter, and Instagram. Read our website Blog, as well as our Apple Encyclopedia, Microsoft Encyclopedia, and iReflexions, where you’ll find a multitude of the latest tech news and views. You’ll enjoy electronics from a whole new perspective, and you might get hooked. Don’t say we didn’t warn you! To easily access the pages and links above mentioned, read this: What's iGotOffer. Your only responsibility is to properly pack your Apple TV 4K (5th Generation) with the utmost care to ensure we get it in optimum condition. Please review our shipping instructions thoroughly: Shipment Guidelines.